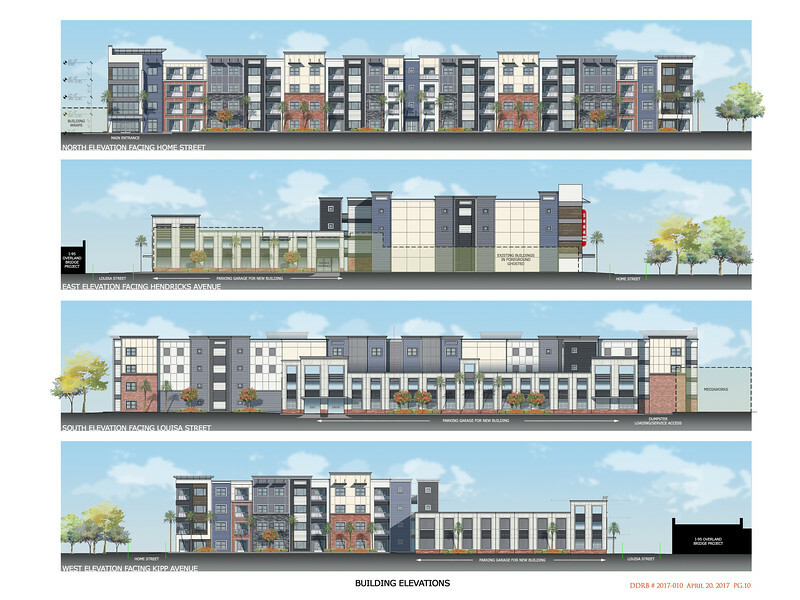 Residential infill continues to rapidly sprout up in and around Downtown Jacksonville. 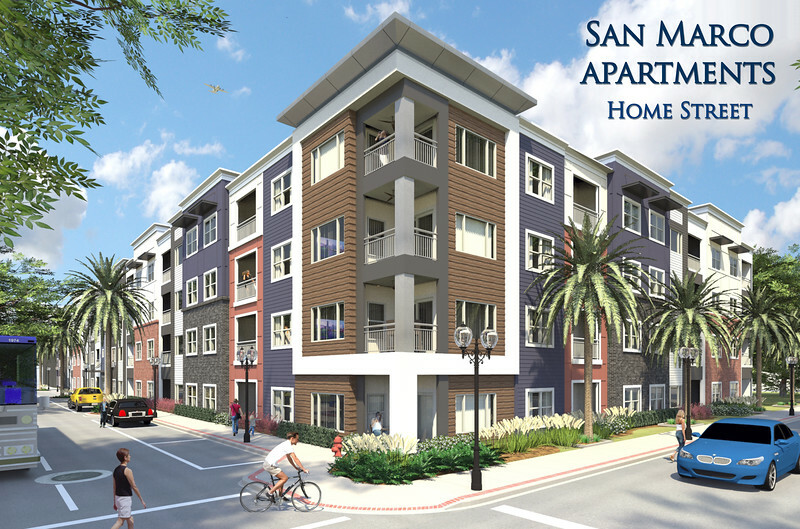 A 147-unit multi-family project by Catalyst Development Partners (CDP) is the latest to begin construction. Land clearing efforts are underway on the north side of Interstate 95 for CDP’s San Marco Apartments Home Street project. 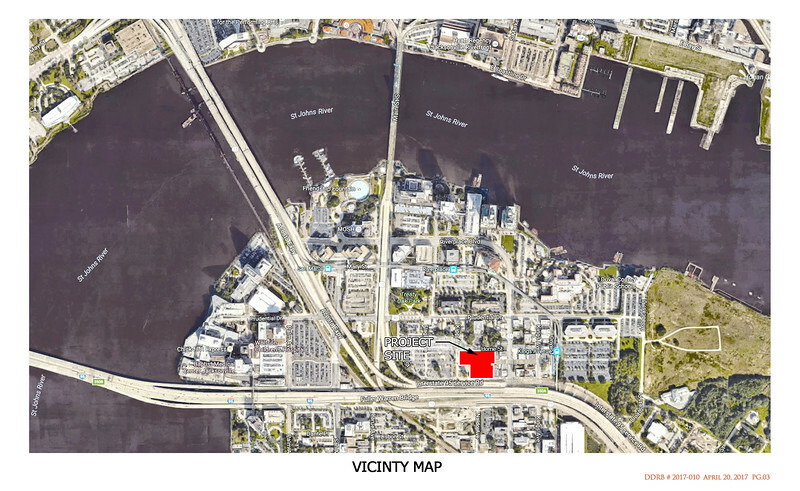 Located at 1444 Home Street, the four-story development will add 147 rental units in Downtown Jacksonville’s Southbank. 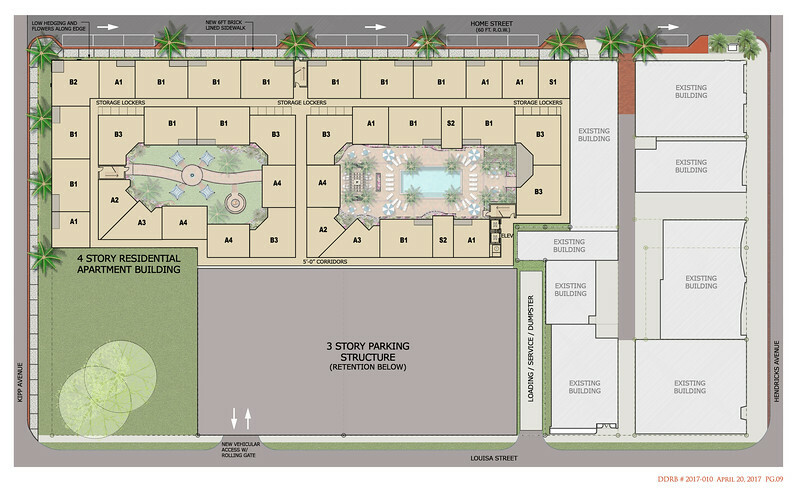 Located within walking distance of Northern San Marco’s emerging Hendricks Avenue commercial district, the 1.9 acre project will also include a three-story, 221-space parking garage along Louisa Street.